This summer, the Peabody Essex Museum (PEM) will unveil an exhibition shedding new light on one of history's most iconic and beloved photographers. 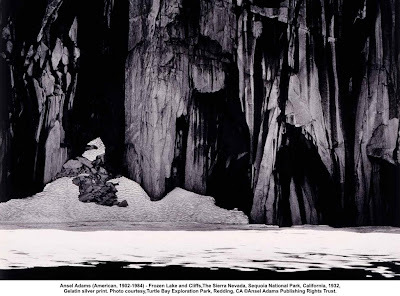 Ansel Adams: At the Water's Edge features more than 100 photographs combining famous images with extraordinary lesser-known works that focus on the artist's treatment and exploration of water in all its forms. Full of energy and dynamism, Adams' photographs of seascapes, beaches, bays, tide pools, clouds and waterfalls provide a fresh perspective on the artist's celebrated career. Ansel Adams: At the Water's Edge was organized by the Peabody Essex Museum where it will be on view for its exclusive U.S. engagement from June 9 through October 8, 2012, and will then travel to the National Maritime Museum in Greenwich, UK. "Throughout his life, Adams was drawn to the water for its visual potential, exploring where elemental forces meet," says Phillip Prodger, exhibition curator and PEM's curator of photography. "As an innovative Modernist, he explored seriality, motion and time, using a range of techniques to capture a definitively fluid and elusive substance." In this exhibition, drawn from the Ansel Adams Archive at the Center for Creative Photography at the University of Arizona and other prominent private and institutional collections, viewers will have the opportunity to see the pictures that Adams made for himself. Both grand and intimate at turns, these personal, and sometimes experimental images express his thoughts about the natural world, and often push the boundaries between realism and abstraction. Ranging in size from 3 x 5-inch prints to 10 x 12-foot murals, many will be appearing publicly for the first time at the Peabody Essex Museum. Adams was one of the first photographers to work in the large-scale mural format which has now become standard among contemporary artists. 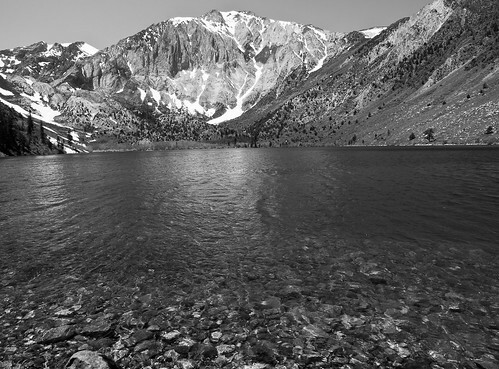 At the Water's Edge provides a fresh look at Ansel Adams, as well-known and beloved pictures of rugged mountains, desert landscapes, and rocky cliffs blend with sparkling, spraying, whirling waters in all of their flowing power and reflective nuance. The undeniable attraction of water as a photographic subject captured Adams at an early age. The very first photograph Adams ever made, shown at PEM for the first time, features a watery pool at the Panama Pacific Exhibition of the 1915 World's Fair, made when Adams was just 14 years old. Over time, his lens claimed the territory between Yosemite National Park and the Pacific, as well as Hawaii and Alaska, where he shot images shown in this exhibition. Notably, he made a powerful group of photographs of New England, the only coastal location outside of California that Adams photographed steadily. Over a course of decades, he explored the coast from Connecticut to Maine, especially in Massachusetts, making repeated trips to Cape Cod and Boston's North Shore. Visitors will have the opportunity to see rarely-viewed objects, including the print of Golden Gate before the Bridge that used to hang over Ansel Adams' desk, and which he considered among his very best photographs. At the same time, stunning, oversized exhibition prints of iconic photographs including Clearing Winter Storm, Yosemite, Tetons and the Snake River, Grand Teton National Park and Stream, Sea, Clouds, Rodeo Lagoo, Marin County, California will be on display, among others. One of the surprises revealed in At the Water's Edge is Adams' interest in using sequential imagery to freeze motion in time. An especially powerful example is the majestic surf sequence, San Mateo County Coast, California, 1940. Adams was possibly the first well-known photographer since Eadweard Muybridge to attempt to use photography in this way, employing seriality and sequence to create a cohesive narrative. Another series of photographs of Old Faithful Geyser, Yellowstone National Park, shows a different approach to sequentiality. A poignant exploration of form, movement and time, they can be viewed as Adams' version of Monet's haystacks. As with Monet, Adams visited Old Faithful at different times of day, photographing in varying light and changing atmospheric conditions. Another unexpected addition is the exceedingly rare Japanese-style screen, Grass and Pool, 1948, dating from a period of tremendous creativity in Adams' work. Standing on round metal feet, it was designed to be shown directly on the floor in a domestic environment. In subject and treatment, it was inspired by Asian painted screens in which picture planes are flattened and perspectives tilted. The three articulated panels can be angled to catch the light differently, the rhythm of the fold cleverly mirroring the angular pattern of the exposed grass. For Adams, part of the appeal of creating such a work was thwarting conventional expectations about what a photograph might look like and where and how it could be shown. Like many modernists, Adams considered photographs not just as images but as objects - the craft and sheer physical presence of the work reinforced its significance as a work of art and the focus of contemplation. The Peabody Essex Museum presents art and culture from New England and around the world. The museum's collections are among the finest of their kind, showcasing an unrivaled spectrum of American art and architecture (including four National Historic Landmark buildings) and outstanding Asian, Asian Export, Native American, African, Oceanic, Maritime and Photography collections. In addition to its vast collections, the museum offers a vibrant schedule of changing exhibitions and a hands_on education center. The museum campus features numerous parks, period gardens and 22 historic properties, including Yin Yu Tang, a 200_year_old house that is the only example of Chinese domestic architecture on display in the United States. Adams’ uplifting images have helped define landscape photography, fulfilling an ideal of a glorious American West before tourism and development marked the land. A hallmark use of light coupled with an affinity for grand gestures yielded his trademark oversized prints. This exhibition, however, also showcases his lesser-known, non-landscape work and his initial devotion to Pictorialism, a photographic movement (in vogue from around 1885 to the early years of the 20th century) that subscribed to the idea that art photography should emulate — through soft focus, exotic printing techniques, and other methods — the more established art mediums of the time, particularly painting and etching. Early in his career, Adams aimed to reveal the character of a landscape through the balance of light and dark. By limiting his photographs to contact size (the size of the originating negative) and printing them on matte-finish papers, he made works that delivered the intimacy of fine etchings. The exhibition shows how, in his later years, Adams sought to broaden his audience by publishing finely crafted portfolios of original prints that, along with his signature landscapes, included portraits, close-ups and even industrial photographs. An educator and a leader among West Coast artists, Ansel Adams (1902–1984) led photography workshops for years around Yosemite National Park. A strong advocate of environmental causes, he served on the board of the Sierra Club from 1937 to 1971. Among his many honors, he won three John Simon Guggenheim Memorial Foundation fellowships, was elected to the American Academy of Arts and Sciences, and in 1980 was awarded the Presidential Medal of Freedom. Adams was a consummate and ardent admirer of the natural world, and he traveled the country from the national parks of Yosemite and Big Bend to the Taos Pueblo in New Mexico. From Mount McKinley (Ala.) to Death Valley (Calif.), he searched high and low, sharing his vision through exquisitely rendered prints bound in hand-crafted books and portfolios. His longstanding goal — “to rekindle an appreciation of the marvelous” — is evidenced here in this exhibition.